Jamshoro Health Department invites the application forms from the candidates who are eligible and competent for the DHO District Health Officer jobs 2019. If you are eligible and Interested to join this jobs then you must apply within due dates on the NTS department that is assigned by the Jamshoro Health Department to commence the written test for the DHO Jobs 2019. 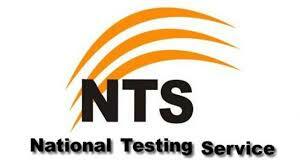 Please download the application form and deposit slip of NTS Testing service. Then Fill up both properly, application form and Deposit slips as well. Then Pay the prescribed test fee of Rupees Five Hundred Fifty Only (Rs 550/-) in any of the country-wide Online branch of AB, HBL. MCB or Meezan in the favor of NTS Testing service and get receipt from the Bank. Then Attach the Deposit slips along with Application form and send it to the NTS Respective department for test. Then NTS will announced the Candidates lists if your name is appear in the candidates list then you are able to appear in the test and NTS will send you roll Number slips on your residential address. Next Process is Test preparations you must start preparations for your NTS test online at this page because we are offering the NTS test preparation free of cost and online according to the NTS syllabus. Candidates who qualify the written / typing test will have to appear for an interview before DHO Jamshoro selection board along with all original documents in addition with following, Verified Graduation Degree (verified 5orn concerned university / HEC) & Verified Diploma Certificate verified from SBTE – required only if applied for the Post of Computer Operator.